First Presbyterian Church has over 130 years of history in Sioux Falls, South Dakota. We are proud to continue our legacy of serving God and our community in and beyond our beautiful city on the plains. Sioux Falls was granted a city charter in 1883, with 5,000 inhabitants. Also in 1883, thirteen Presbyterians were busy organizing the First Presbyterian Church of Sioux Falls, Dakota Territory. They met once each Sabbath in the afternoon in a Methodist Church building. First Presbyterian Church, 1884 to 1916. In 1884, the first First Presbyterian Church building was constructed on the northeast intersection of 9th Street and Minnesota Avenue. By the turn of the century, a livery barn adjacent to the church created such noisy and smelly conditions that the original building was moved to the southeast corner of 10th and Minnesota. Dakota Territory was divided in half as North and South Dakota in 1889, and both states were formally admitted to the union. First Presbyterian Church at 10th Street and Spring Avenue, 1916 to 1958. In 1916, the congregation had grown to the point where new and enlarged facilities were needed. A lovely brick church was built on 10th and Spring. This served as the church home for a dedicated and growing congregation during a period of history that stretched over 40 years and covered the great depression and two world wars. 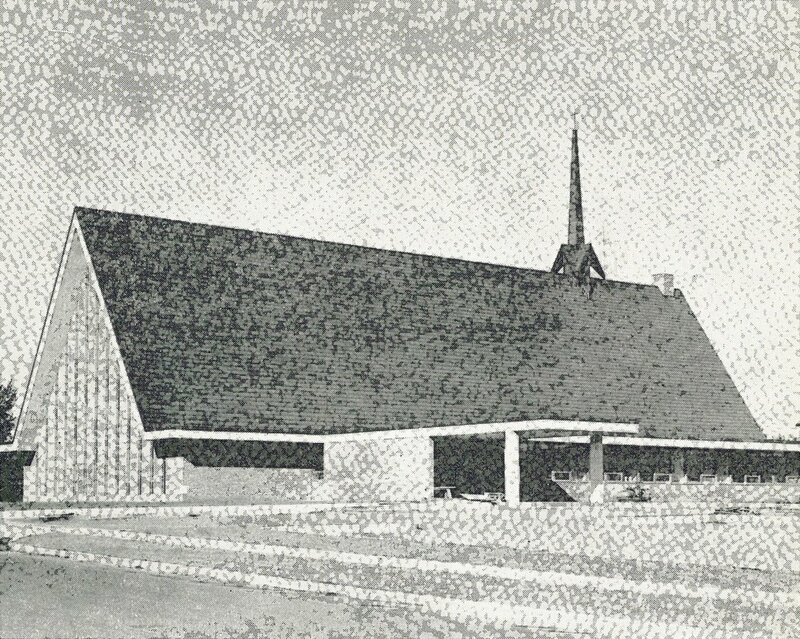 On November 23, 1958, First Presbyterian Church began a new chapter of ministry with the dedication of our current building. First Presbyterian Church at South West Avenue and West 31st Street, 1958. Our sleek mid-century modern brick building was designed by Spitznagel Architecture. The tent-shaped nave seats 500. The Chancel wall features a ceramic mosaic by Palmer Eide (Augustana). The mosaic’s symbols depict events in the life of Christ. 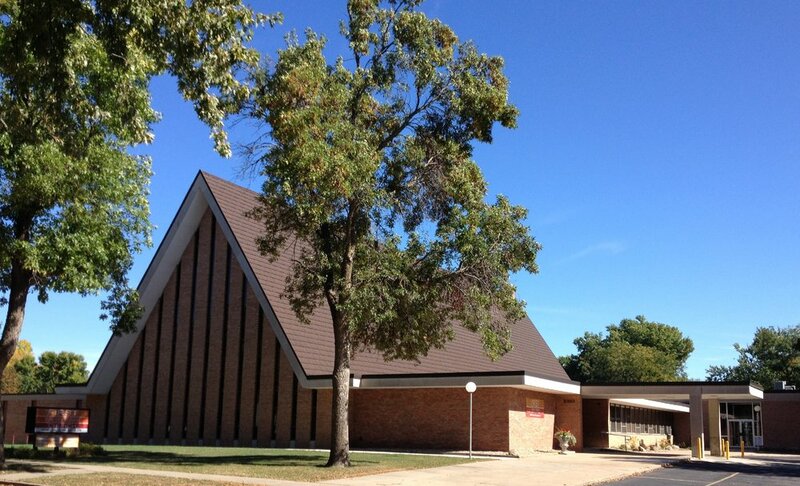 The design of our building won a Merit Award in 1960 from the National Council of Churches of Christ. Construction progress of our current church building, 1958. Embracing the past with remembrance and the future with faithfulness.